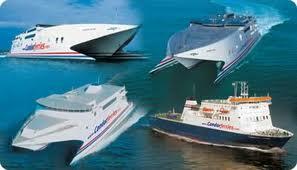 Condor Ferries now operate all their fast ferry services from Poole. If you are travelling to or from Jersey or Guernsey – the Channel Islands Galaxy Courtesy Cars provide you with an onward transfer service to any destination in the UK. Destinations include; London Heathrow, London Gatwick and all major transport hubs. We monitor the vessels arrival time and your driver is then the arrivals hall to meet you – thus ensuring you arrival at your destination calm and stress free. Utilising our modern fleet of vehicles – which includes 6 and 8 seater we have the capability to transfer groups as well as single passengers and their luggage to any location.